Something you should know about me: I love feathers. Or perhaps more precisely, I love finding feathers. And I kind of have a knack for it. I consider them unexpected gifts, and I am always happy to discover one. For years, a mobile of twigs and found feathers has hung from the ceiling over my bed — I watch it sway in the room’s small currents every day. Once I saw two ravens haranguing a barred owl in woods. The pair cornered the owl on a bare larch, and nipped or stressed it into dropping a handful of feathers from its perch. They caught on the branches, and after the birds flew away, I went to the tree and shook down the downy feathers. Another time I saw a heron drop a feather in mid-flight, and ran to catch it as it fell in slow spirals. Of course I knew exactly who had dropped those feathers, but sometimes I find new types that are harder to identify. So imagine my delight today, to discover that the U.S. 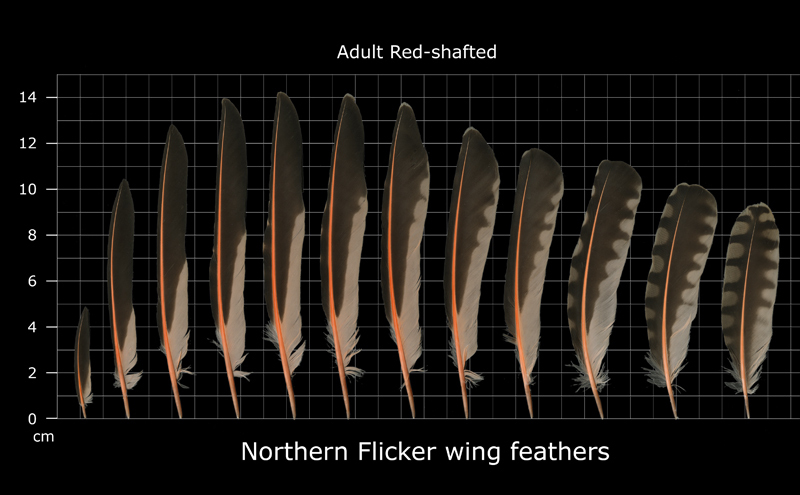 Fish and Wildlife Service has a feather identification website — and it’s exceedingly cool. So far they’ve got over 350 North American birds in the database, but it’s an ongoing, expanding project. Technically, according the Migratory Bird Treaty Act, unless you possess the proper permit, you should take only photographs and leave whatever feathers you find where they lay. Honestly, I knew that was true for certain bird’s feathers, but not all of them… so… yeah.